Social media is coming under intense pressurization. First, government and judiciary began raising alarms over alleged problem of ‘blasphemous content‘ on social media. Now the attention has moved from offending the Almighty to offending the Army. Last weekend, Interior Minister Chaudhry Nisar declared it unconstitutional to criticise national security matters and related institutions. He has ordered FIA to take action against anyone criticising Army on social media. However, if Army feels like it is loosing its grip online, it is not leaving it to the civilians to fix the problem. Activities of ISI’s media cell (aka M-Wing) are well known, but there are also ‘unofficial’ groups that are used to both spread messages and remind citizens of their place. In a new piece for Daily Times, Dr Aamir Khan has pointed out the rise of ‘a hidden WhatsApp constituency‘. No, it is not hyper-paid TV anchors themselves, powerful though they are in shaping public opinion. I refer to some 25 to 30 thousand retired army officers who are daily using social media, especially WhatsApp to forge a formidable group exerting pressure on the highest leadership of our armed forces. 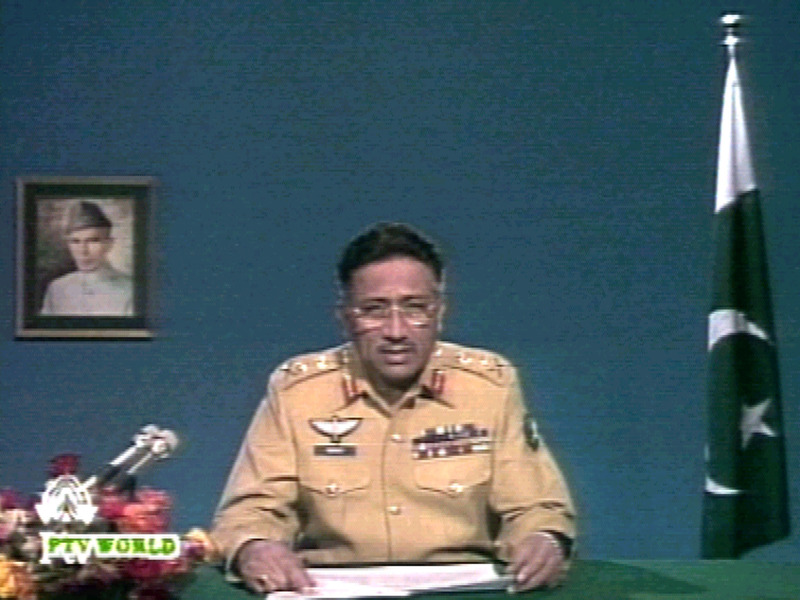 Propaganda rings and pro-Army social media operations are nothing new in Pakistan. For many officers, retirement means a new career in media. ‘Un-official’ new media operations were pioneered by the likes of Gen Hamid Gul and Major Raja Mujtaba, and their legacy is being carried on after them by a new generation. In the past year, a new ‘private’ venture has launched called CommandEleven.com which is led by Lt Gen (r) Tariq Khan and Col (r) Azam Qadri supported by a cast of ‘analysts’ who came up through the ranks of PKKH and its off-shoots. 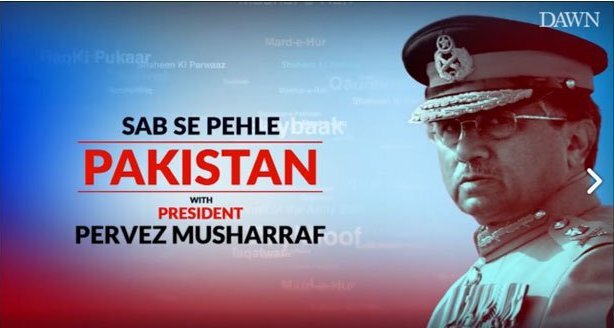 As usual, this new operation features ‘analysis’ by retired Army officers questioning the patriotism of media and blaming corruption for all the country’s problems (but not all corruption of course). This new group is also closely watching social media for any criticism of the armed forces. After DG ISPR’s Tweet rejecting PM’s notification on ‘Dawn Leaks’, one of CommandEleven.com’s so-called analysts wrote that ‘domestic and international elements also waged a social media campaign against DG ISPR’, and termed the entire affair as a a ‘classic media influence operation’. The same ‘analyst’ also has written a blog post that tries to paint the conference as ‘mysterious’ and the participants as ‘traitors’ and ‘foreign agents’ in a most typical manner, even though the conference was reported in both international media and Pakistani media and the contents of the conference are actually posted online for anyone to see what was actually said. The real mystery here is what is the point of these hypernationalist social media operations being run by retired military officers? What used to be the domain of conspiracy-mongers like Zaid Hamid and Ahmed Quraishi is now a crowded room of newly retired Army officers and their young proteges. Is it only a coincidence that this is happening at the same time Interior Minister is threatening action against anyone who critcises Army on social media, or is it an orchestrated part of deep state’s national narrative management? Asif Ali Zardari has become the second former president to find a new career in media after Gen Musharraf was announced as having a new show last month. Just like when the former military dictators show was announced, the civilian politician’s announcement was also met with jokes on social media. Some PPP supporters were not impressed with the move. Others are making the more obvious point about Zardari joining none other than the controversial Bol TV. Some suspect #Bol is started by establishment to counter power of Geo/Jang Mafia. Is Zardari employed by establishment? However, this last point may be the point completely. Pakistan media has been under extreme pressure from GHQ which has only increased since arrival of new COAS Gen Qamar Bajwa. 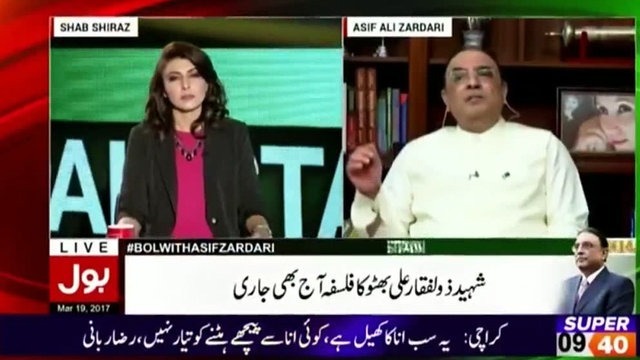 What better way to counter allegations of Army censorship than to have someone like Asif Zardari appear on a channel allegedly supported by agencies? Surely no one can accuse Zardari of being an establishment stooge. It is true that Zardari is no establishment stooge, but it is also true that the former president is well known as an excellent politician who knows ‘the art of the deal’. PPP has seen its fortunes steadily sinking since its historic losses in 2013. Since that time, the party has been grasping as any opportunity to reinvent itself away from ‘Roti, Kapra aur Makaan’ to some sort of generic political party with a broader middle class appeal. Bilawal was rebooted as Kashmir mujahid, party leaders came out in support of military courts by blaming civilian institutions, and the party that has stood strongest for religious minorities has shown weakness on important issues like forced conversion. Zardari is no stooge, but does seem like PPP leaders have been taking some very bad advise and now are once again trying to be overly clever by taking the opportunity to get on TV in exchange for providing cover for Army’s media managers. Whatever the true reasoning is impossible to know, and those who actually know will never tell it. What we can be sure of is that the antidote for military media managers is not political media managers. In this era of ‘fake news’ and media manipulation, it is becoming harder and harder to know what is true. The solution is to increase the number of professional journalists who are investigating and reporting the facts without ideological bias. Adding more politicians to the mix only adds to the confusion, which is something neither People’s Party nor media cannot afford.